The Square Fire Table boasts a sleek, contemporary design for the modern home. For best results limit seating around the fire table to four people. With POLYWOOD® fire tables you don’t need to worry about the weather - water will naturally drain from the burner bowl in case of rain. 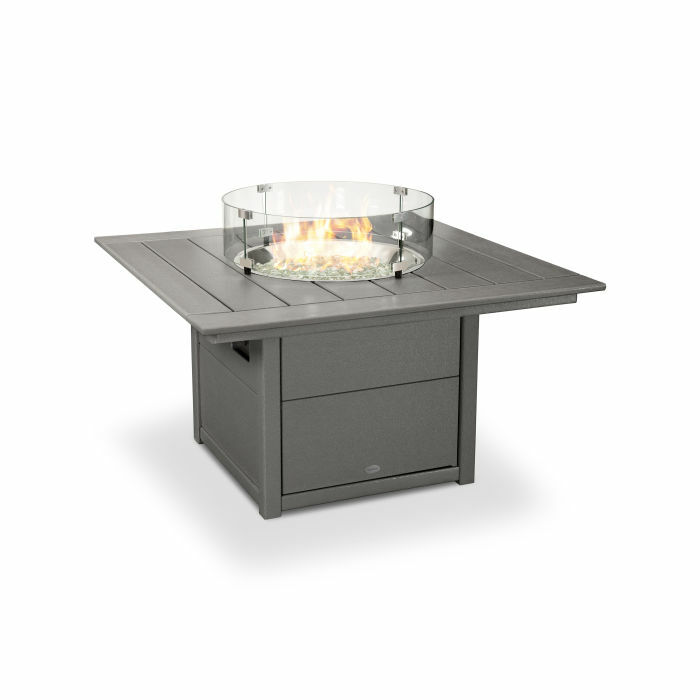 Take the hassle and maintenance out of an outdoor fire with a modern POLYWOOD® fire table that does all of the work with just the push of a button. Enjoy an adjustable-height flame with your family - the Square Fire Table also has plenty of table top space for drinks, food, and snacks. Safely install your fire table on any outdoor surface, including your concrete patio, wood deck, or yard.